_Take a look as we enjoy some of the most breathtaking photos from 2015, starting with this extraordinary image of nature reminding us who's boss... _ CRN released this stunning image of lightning striking in the background as its 55 metre superyacht Atlante was delivered in August. CRN released this stunning image of lightning striking in the background as its 55 metre superyacht Atlante was delivered in August. Rick Tomlinson travelled to Chile to photograph the Volvo Ocean Race yachts rounding Cape Horn. The Southern Ocean is host to the most treacherous seas on the planet and Rick managed to capture this shot of Team Brunel 5 reaching through the extreme conditions. The photo won him the public voted award at the 2015 Mirabaud Yacht Racing Image competition. 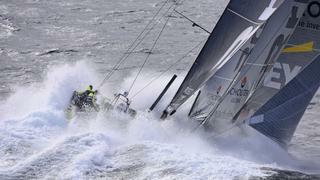 Rick Tomlinson travelled to Chile to photograph the Volvo Ocean Race yachts rounding Cape Horn. The Southern Ocean is host to the most treacherous seas on the planet and Rick managed to capture this shot of Team Brunel 5 reaching through the extreme conditions. The photo won him the public voted award at the 2015 Mirabaud Yacht Racing Image competition. Sunset photos are a popular theme on social media and it is not hard to see why people like them. What better way to show off the beauty of the 1950's classic Seawolf? Check out our five best superyacht sunset photos. Sunset photos are a popular theme on social media and it is not hard to see why people like them. What better way to show off the beauty of the 1950's classic Seawolf? 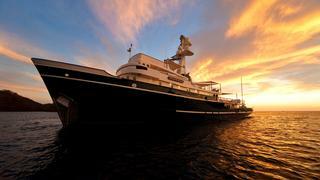 Check out our five best superyacht sunset photos. When the America's Cup made the switch to foiling catamarans there was always going to be some impressive thrills and spills and so far we have not been disappointed by the action. 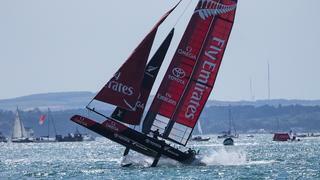 This photo is of Emirates Team New Zealand pulling a wheelie at the first Luis Vuitton America's Cup World Series event in Portsmouth. It hasn't slowed them down too much though — going into 2016 they lead the World Series standings. Check out some more cool photos from the Portsmouth event. When the America's Cup made the switch to foiling catamarans there was always going to be some impressive thrills and spills and so far we have not been disappointed by the action. This photo is of Emirates Team New Zealand pulling a wheelie at the first Luis Vuitton America's Cup World Series event in Portsmouth. It hasn't slowed them down too much though — going into 2016 they lead the World Series standings. Check out some more cool photos from the Portsmouth event. 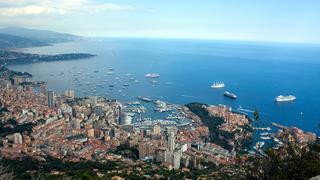 The Monaco Grand Prix is one of the highlights of the sporting and social calendar. The event attracts so many yachts that many of them cannot fit into Port Hercules and must anchor off the city. Take a look at seven yacht photos from the Monaco Grand Prix. The Monaco Grand Prix is one of the highlights of the sporting and social calendar. The event attracts so many yachts that many of them cannot fit into Port Hercules and must anchor off the city. Take a look at seven yacht photos from the Monaco Grand Prix. The huge multi-coloured spinnakers of the world's racing superyachts are always a sight to behold. This great shot shows Inoui and Ganesha leading the fleet at The Superyacht Cup 2015. The regatta takes place in June in Palma, Spain and attracts more than 20 sailing yachts over 24 metres. Here are more stunning photos from the first day of racing. The huge multi-coloured spinnakers of the world's racing superyachts are always a sight to behold. This great shot shows Inoui and Ganesha leading the fleet at The Superyacht Cup 2015. 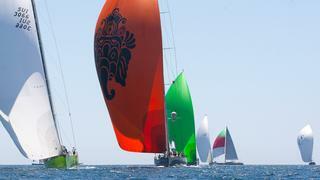 The regatta takes place in June in Palma, Spain and attracts more than 20 sailing yachts over 24 metres. Here are more stunning photos from the first day of racing. 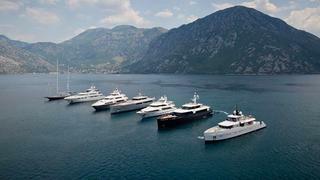 The Superyacht Redezvous Montenegro led seven yachts to line up in the stunning Bay of Kotor. From left to right: _ Infatuation, Lady Petra, Komokwa, Exuma, Stella Fiera, Logica and _ Alyssa. Take a peek at some of the other photos as the luxury yachts cruised the Bay of Kotor. The Superyacht Redezvous Montenegro led seven yachts to line up in the stunning Bay of Kotor. From left to right: _ Infatuation, Lady Petra, Komokwa, Exuma, Stella Fiera, Logicaand _ Alyssa. Take a peek at some of the other photos as the luxury yachts cruised the Bay of Kotor. One of the world's most recognisable sailing superyachts, Maltese Falcon can't hide behind these rocks. The iconic three masted sailing yacht was taking part in the Perini Navi Cup held out of the Yacht Club Costa Smeralda in Porto Cervo, Sardinia, Italy. Here are some more photos from the Perini Navi Cup 2015. One of the world's most recognisable sailing superyachts, Maltese Falcon can't hide behind these rocks. 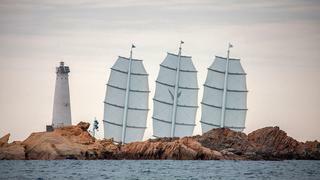 The iconic three masted sailing yacht was taking part in the Perini Navi Cup held out of the Yacht Club Costa Smeralda in Porto Cervo, Sardinia, Italy. Here are some more photos from the Perini Navi Cup 2015. _Eclipse _is no longer the largest yacht in the world but has by no means fallen out of the spotlight. The 162.50 metre yacht is seen here out of the water, lit up against a gloomy night sky. _Eclipse _was spotted in Hamburg in November during a visit to the yard and was rumoured to be undergoing some work. _Eclipse _is no longer the largest yacht in the world but has by no means fallen out of the spotlight. 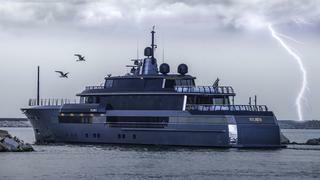 The 162.50 metre yacht is seen here out of the water, lit up against a gloomy night sky. 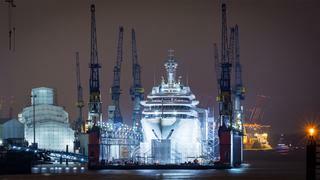 _Eclipse _was spotted in Hamburg in November during a visit to the yard and was rumoured to be undergoing some work. The Loro Piana Caribbean Superyacht Regatta & Rendezvous is a four day event organised by Boat International Media. Sail and motor yachts are brought together in the British Virgin Islands and can be seen here docked at the Yacht Club Costa Smerelda in the stunning North Sound of Virgin Gorda. See more of the top photos from the 2015 event. 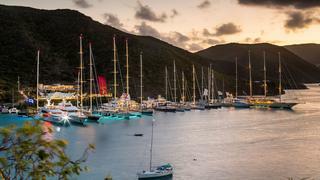 The Loro Piana Caribbean Superyacht Regatta & Rendezvous is a four day event organised by Boat International Media. Sail and motor yachts are brought together in the British Virgin Islands and can be seen here docked at the Yacht Club Costa Smerelda in the stunning North Sound of Virgin Gorda. See more of the top photos from the 2015 event. This great shot of newly delivered Lürssen Ester III shows off her unique and aggressive look. The 66 metre yacht is high tech and highly original. This great shot of newly delivered LürssenEster III shows off her unique and aggressive look. 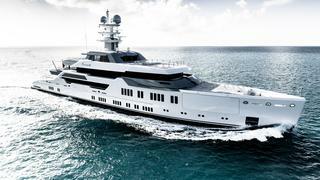 The 66 metre yacht is high tech and highly original. The last photo depicts a story that nobody likes to happen but everybody wants to see when it does. 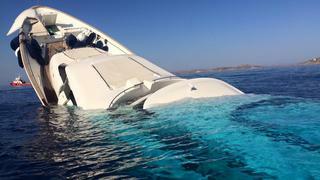 A luxury yacht sank off the coast off Mykonos in Greece and this picture says it all.